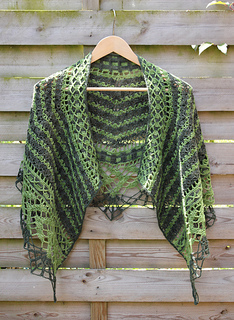 Since I did Mystery Knit Along, I think it’s only fair that I also do Mystery Crochet Along. 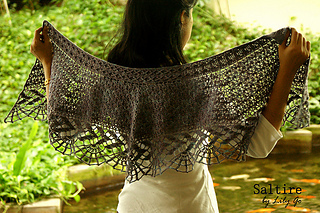 It’s called Saltire Mystery CAL. 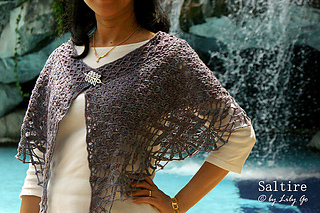 A saltire is a heraldic symbol in the form of a diagonal cross ☓ or letter x. I name this shaw Saltire because you can find a lot of x-stitches all over the shawl. 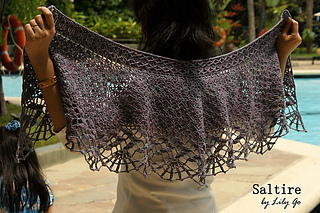 Saltire is a half circle-ish shaped shawl with interesting construction. 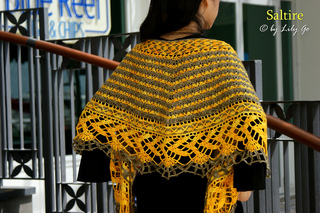 You can make this shawl with 1 color or 2 colors. Both give you stunning result. Instruction come in 2 sizes, small and large, but you can adjust the size. 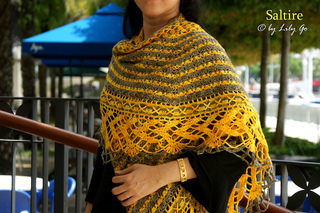 As with all my other patterns, this pattern comes with row-by-row written direction in US crochet term and charts. 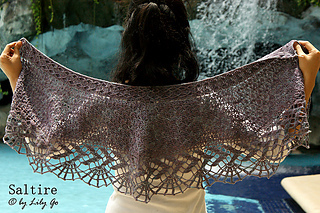 You need at least 2 skeins of yarn to do a small size shawl (if you are not a tight crocheter like me most likely that you need 3 skeins) and 4 skeins to make the large one. 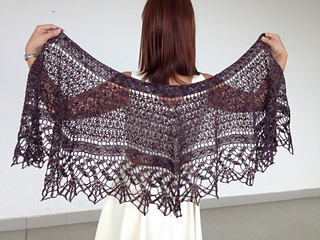 For 2 colors shawl the ratio is 50:50. 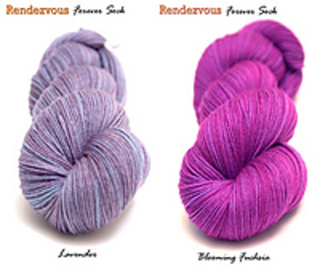 I used Rendezvous Forever Sock 2 skeins (200g, 920 yards) for small size. The CAL is divided into 4 Clues published every Thursday starting on May, 24. 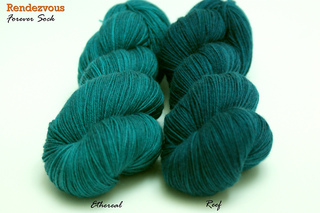 Option 1: Buy the kit (yarns and clues) here. For 1 color kit, choose the color from here. 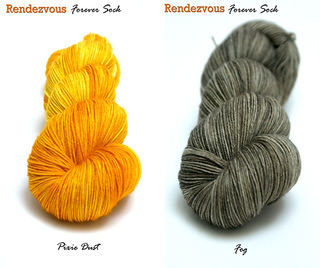 For 2 colors kit, choose the color combination shown in the photos. Payment by Paypal, no accounts required. Credit cards accepted. 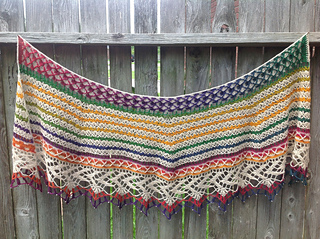 The pattern will be sent to you via Ravelry (please let me know your Ravelry username and your color choice during check out) and the yarn will be sent to your address (please make sure to update your shipping address in Paypal). Shipping cost is FREE! Please allow 10 - 20 days to reach your hand. 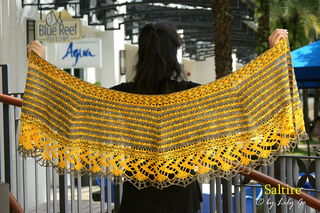 Latest date to order: April 24, 2012. Option 2: Buy the clues only. Once you bought the clues or the yarn, you’ll receive a notification every time a new Clue is uploaded. 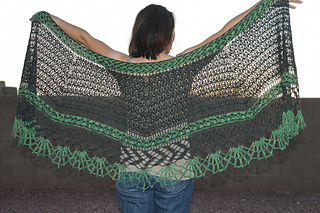 At the end of the KAL, the participants will receive a copy of the complete pattern at no additional cost. Pattern is protected by copyright, so participants in the KAL are required to not distribute copies of the clues or copies of the whole pattern.